A. J. Hawk can isolate the game of his life, the 2006 Fiesta Bowl against Notre Dame, not because of individual statistics, but because of what the game represented. “I think the fact that it was the end of an amazing four years—four big Bowl wins; three Michigan wins; lots of victories in those four years; and an amazing group of teammates and coaches—is why it felt like the game of my life,” Hawk said. Jan White has a different reason for the game of his life: He scored his first touchdown as a Buckeye, playing a position he didn’t necessarily want to play. “It became a footrace I was determined to win,” White says of his 72-yard reception from Rex Kern against Northwestern in 1968. Whoever they are and whatever the reason, there always is “the” game in a player’s memory bank. The folks, whose stories are chronicled in Game of My Life Ohio State Buckeyes, tell you why a certain game was the best, providing the detail, the color, and the emotion that only a player can share. 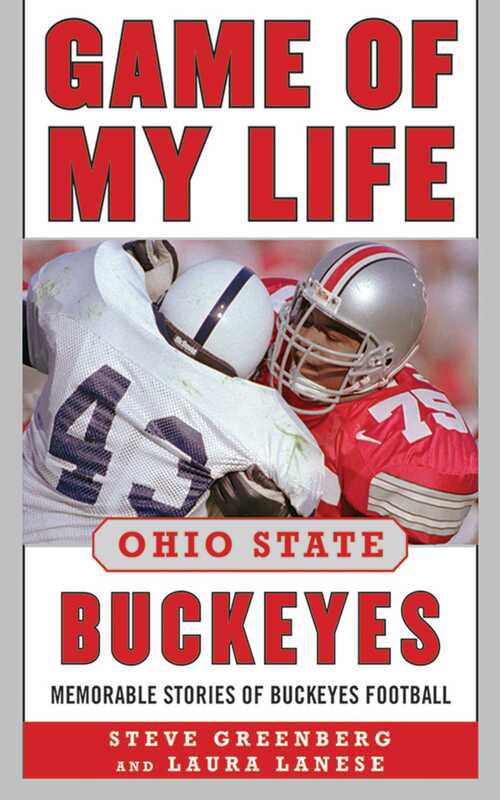 Football fans, most especially those card-carrying members of Buckeye Nation, will be enlightened and entertained by these stories. Buckeye greats such as Archie Griffin, Cris Carter, Mike Lanese, and Bob Hoying relive their legendary moments—from the sidelines to the huddle, from the depths of impending defeat to the pinnacle of glory. It just doesn’t get any better.